Today in science that turns out to be totally bunk: Citronella candles warding off mosquitoes. At least, the natural “repellant” doesn’t seem to have any effect on one of the most notorious disease-spreading blood suckers on Earth. In a new paper published in the Journal of Insect Science, scientists put several types of mosquito repellant to the test, among them spray, mosquito-repelling bracelets, and candles. Recent events, like the Zika virus outbreak, have spurred an interest in new ways of controlling mosquito populations. But it turns out some old standbys—like Citronella candles—don’t really work at all. The scientists looked at five sprays, five wearable devices and a citronella candle. To test whether they effectively deterred blood-thirsty mosquitoes, they replicated conditions you might find in someone’s backyard: a human sat at one end of a wind tunnel as “bait,” and scientists measured how many mosquitoes moved toward them while using each repellant. For each product, two brave and selfless human beings were subjected to an onslaught of 50 to 125 mosquitos. Each test was replicated for good measure. They found that spray repellents containing DEET and menthoglycol, a pesticide derived from eucalyptus plants, were most effective. Another checmical repellant, Metofluthrin, contained in some wearables like the OFF! Clip-on was also effective. The citronella candle had no effect. “We conclude that many of the products that we tested that were marketed as repellents do not reduce mosquito attraction to humans,” the authors wrote. Rodriguez’s study, is not the first to call attention to citronella’s lack of effectiveness. One study found that citronella oil may repel mosquitoes for up to two hours when not diluted at all. Usually, though, products contain small concentrations of it, between 5 and 15 percent. Past studies have suggested such products may only work as repellant for 20 to 30 minutes. 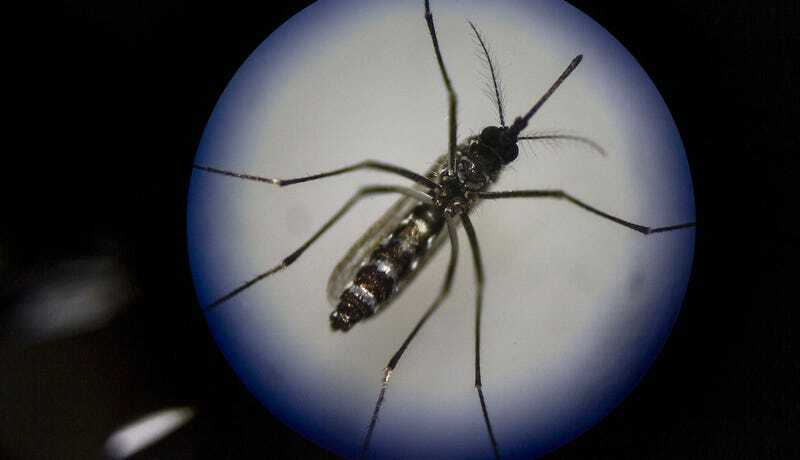 In a past study, Rodriguez similarly found that citronella was not very effective against another common disease-carrying mosquito, the Aedes albopictus. Rodriguez said that further studies need to be done to replicate her results and explore the efficacy of these products against other mosquito species. In the meantime, though, next time you’re shopping for bug spray, better grab that DEET. Will a Radical Plan to Save New Zealand&apos;s Birds With Genetic Engineering Work?